Indoor Soccer LED lighting Fixtures. 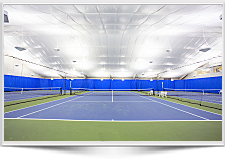 We offer several types of lighting solutions for indoor soccer fields, your existing lighting is likely 400 watt-1000,watt metal halides. 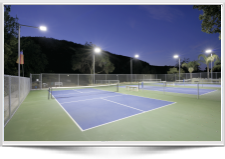 The metal halides fixtures are extremely inefficient in terms of energy use, they typically use twice the energy when compared to the Brite Court high impact T5 HO and LED fixtures. 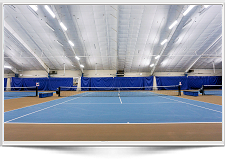 Brite Court offers two lighting solutions; we can provide LED which offers a long life of 50,000 hours or or our T5 HO with a 60,000 hour lamp life. Our lamp technologies used are designed for low maintenance with up to 6-times the lamp life of older metal halide (HID) lamps. With that comes longer 5 year warranties.